Salt Lake City Part 1: Deathcab + Tegan and Sara | Shelby White - The blog of artist, visual designer and entrepreneur Shelby White. It’s Monday, May 26th and we just got back from a great concert. 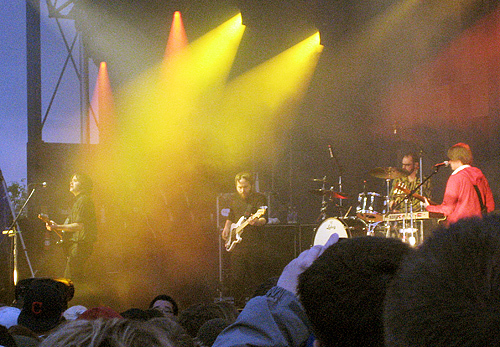 The show consisted of two amazing bands Death Cab for Cutie and Tegan & Sara. Both were very good live but were rushed by the Provo 10 P.M. curfew. One of the bands was not able to play due to technical difficulties that left us in waiting for a little over two hours. It was definitely worth the wait though. 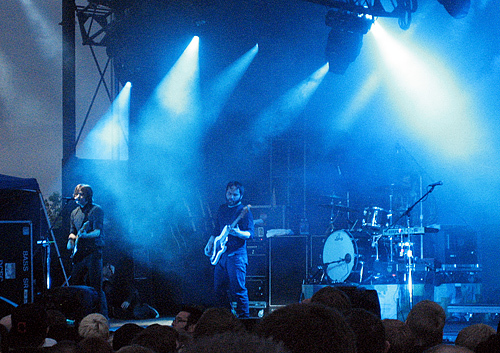 Here are a snapshots from a friends camera of Death Cab from the concert. I also included a couple strobist photos from the same night.